From luxury waterfront and countryside suites to cosy budget hotels and quirky contemporary places to stay. 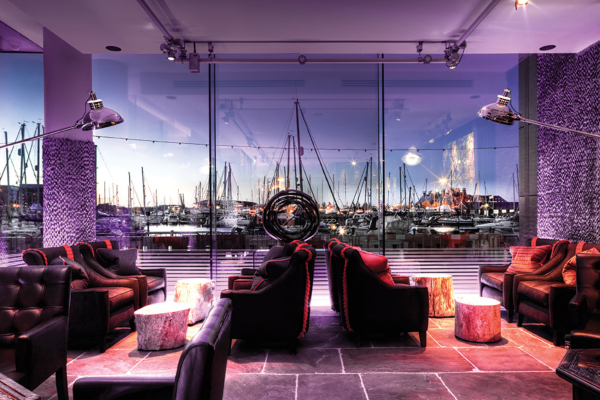 Unwind in the sumptuous Salthouse Harbour Hotel sitting proudly on the waterfront; with an award-winning restaurant, luxurious suites and beautiful views over the marina. Escape to the edge of the town for a bit of the countryside lifestyle at Belstead Brook, Milsom's Kesgrave Hall or Ufford Park Hotel, Golf & Spa. Or immerse yourself in the atmosphere of the town at one of Ipswich's many contemporary and quirky hotels such as Pentahotel, Novotel or Premier Inn. There are some wonderful guesthouses and apartments in Ipswich for you to make your own whilst your visiting the town plus beautiful barns, cottages and retreats just minutes away in the Suffolk countryside. In the heart of The Saints you can stay in one of Seven's wonderful managed apartment suites, a perfect home-from-home or boutique accommodation from Innocence Rooms or Toothbrush Apartments. If you fancy something quirky The Giraffe House is perfect; an entire private bungalow just outside the town centre with airy bedrooms and open-plan living areas. Experience the glorious surrounding countryside with a self-catering barn, lodge or cottage such as Lodge Dairy Farms, Orwell View Barns, Mollet's Farm or the historic Freston Tower.